Aviation Warranty Association: Commercial airline warranty managers met in Chicago to discuss issues with plane and parts manufacturers. Also, some tips on home warranty regulations, and links to a guide to how each U.S. state oversees consumer service contract companies operating within its borders. Aerospace Warranty Report: Unlike the computer and automotive industries, the aerospace OEMs do not pay a vastly greater share of industry warranty expenses than do their suppliers. However, like their parts and component suppliers, they tend to provide longer warranties and keep larger reserve balances than manufacturers in other industries. Warranty Cost per Vehicle: When it comes time to budget for warranty work, corporate planners apparently expect a Ford to cost twice as much as a Honda; a Fiat to cost twice as much as a Ford; and a Mercedes to cost twice as much as a Fiat. Currencies play a role in their planning, but so does selling price, parts cost and local labor rates. 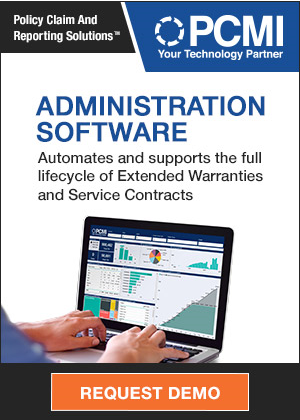 Warranty Software Acquisition: Engineering wants to talk to warranty and so does manufacturing. And warranty needs user manuals and parts from them. No single company's software can make them all talk to each other, not even a CAD/CAM company like PTC. So it bought warranty software company 4CS to round out its product line. Disk Drive & Semiconductor Report: Warranty costs are falling for most of the high tech component makers, both in dollars spent and as a percent of sales. And unlike in the auto industry, the computer OEMs are not yet as accomplished at pushing their warranty costs back onto their parts suppliers. Automotive Warranty Report: After spiking to worrying levels in 2009, automotive warranty claims rates returned to normal in 2010, while the OEMs' accrual rates have never been lower. Their parts suppliers, however, continue to see their warranty costs escalate as the OEMs insist they share a bigger slice of the burden. NEW's Smart Procurement: By taking advantage of ServiceBench's connectivity with servicers and parts distributors, NEW is hoping to speed up repairs by helping servicers to find and order parts. The resulting reduction in turnaround time should make NEW's retail clients happier and its service contract customers less unhappy. Automotive Warranties: While GM and Ford spend the most on warranty, other types of vehicle manufacturers pay out a greater share of their total revenue on claims. And while most parts suppliers have relatively low claims rates, those in the aftermarket report some of the highest rates of all. Business Jet Warranties: Unlike the airlines, the owners of corporate jets expect the white glove treatment from manufacturers. While they'll gladly bring their jets to an authorized service center for warranty work, they'll never try to do their own repairs. And while they expect their planes to be fixed fast, they'll almost never have their own spare parts on hand. Jetliner Warranties: In the good old days, the airlines and aviation parts manufacturers already swamped by regulatory paperwork had little time for the additional bother of warranty claims. 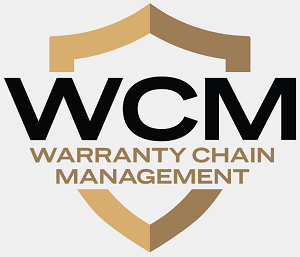 But in an era of falling revenue and rising costs, warranty has suddenly become very important to both operators and their suppliers.